I didn't see any B-b Pipits today, but Pierre found two on the mountain south of the Caldeira. One more pont for France! Birded slowly in Fojo, Poso de Agua, do Vinte and over some fields during the day. 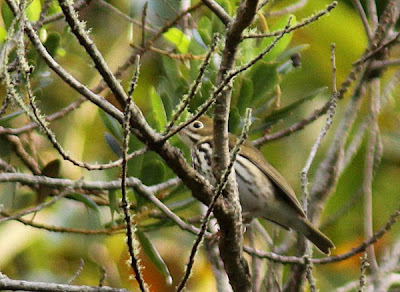 Saw the Ovenbird in Fojo. Had a seawatch for an hour in the evening which produced about ten Great Shearwaters. Remarkably fresh juvenile atlantis. These bastards vary a lot and most of them are already very worn and have moulted a lot. 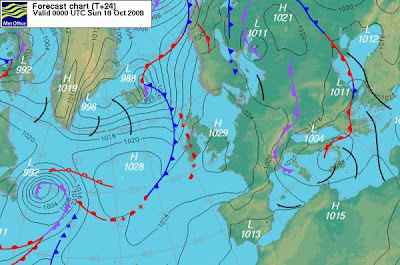 Will probably have a calm day / half a day off tomorrow and recharge for the next possible influx of birds when the lowpressure enters the Atlantic. you have done well Olof - you must be knackered - reward yourself with half a day off - the problem is, what else is there to do ? 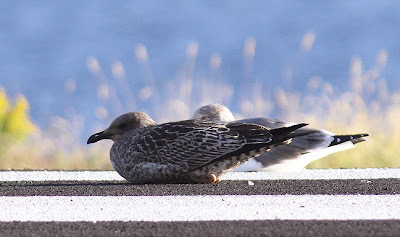 You have not done well, try harder, do not reward yourself with a day off - the problem is, that's a Lesser Black-backed Gull. Tee-hee.